Alison Gwynn, formerly programme and development director at Seven Stories, is joining Northern Film & Media (NFM) as the agency’s new head of marketing and commercial development. 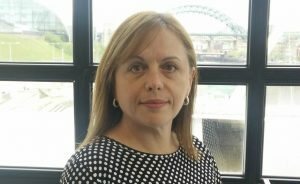 In the newly created role, Gwynn will be heading up the outward-facing arm of NFM, the North East’s creative industries development agency. She will be responsible for fundraising and identifying new sources of revenue and developing the organisation’s programming activity. Gwynn spent 13 years at Seven Stories, the National Centre for Children’s Books, where she was responsible for leading the programming and events team. Gwynn added: "I chose to join NFM because of the unique role it plays as industry champion and regional specialist and their commitment and passion for supporting growth in the film, TV and digital industries in the North East."